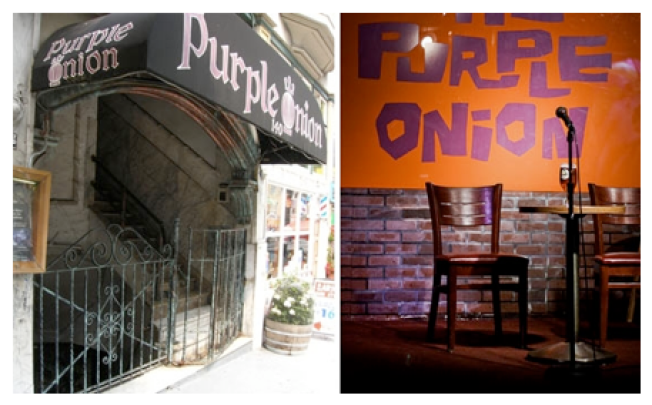 The Purple Onion, a comedy club in San Francisco, is offering $12 discount tickets online -- but only if you sign up through a new coupon site called Groupon. With Groupon, a Chicago-based entrepreneur is reviving an idea that died in the dotcom bust: gathering buyers together for online discounts. Andrew Mason, who dropped out of the University of Chicago to start Groupon, says his idea has unexpectedly caught on -- perhaps because there's a recession on and people are thinking about saving money, perhaps because a critical mass of shoppers are comfortable doing business online. "It totally took us by surprise," he says. "We think we've saved people over $5 million." Much like the discount site Woot, Groupon announces one sale per day. But forget the fusty image of supermarket coupons -- these are about getting out, not fillign your grocery cart. On Monday, for example, Groupon offered $60 worth of food and tobacco at San Francisco's Morak Lounge, a hip hookah joint, for $25, and on Tuesday, $8 off $20 tickets at the Purple Onion, a comedy club. As a Groupon user, you buy in on the deal. If enough people participate (in this case, a minimum of 20), the deal goes forward, your credit card is charged, and the coupon is sent to you via email. If the number of people interested in the deal does not reach the level set by the retailer, the deal falls through and the customer is not charged. Previous offerings include discount pedicures, a San Francisco Bay cruise, and a coupon for a local wine bar. Groupon serves Chicago, Los Angeles, Dallas, New York, Washington, San Diego, and San Francisco, among other cities. You can get daily updates by following @groupon on Twitter.